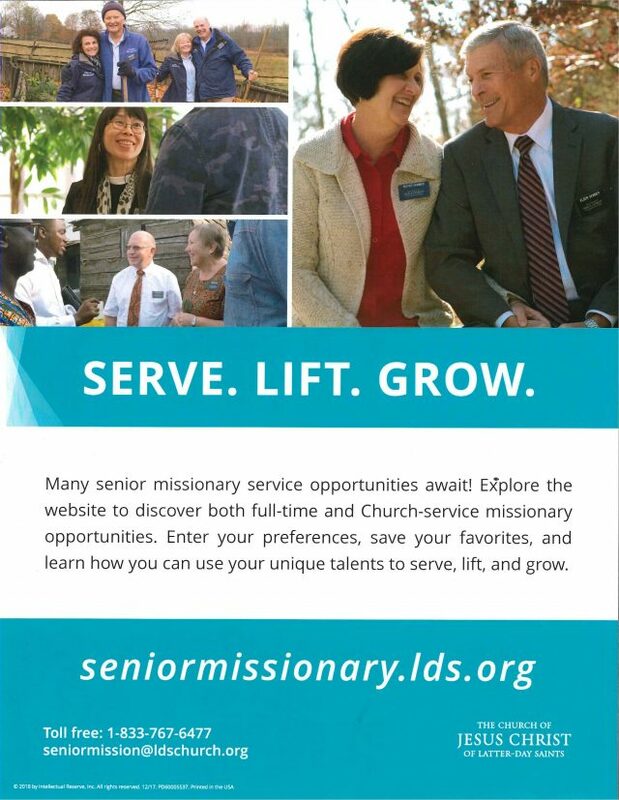 There are many different service opportunities for seniors who want to volunteer a few hours a week, or serve a part-time or a full-time mission ether serving from home or from across the world! 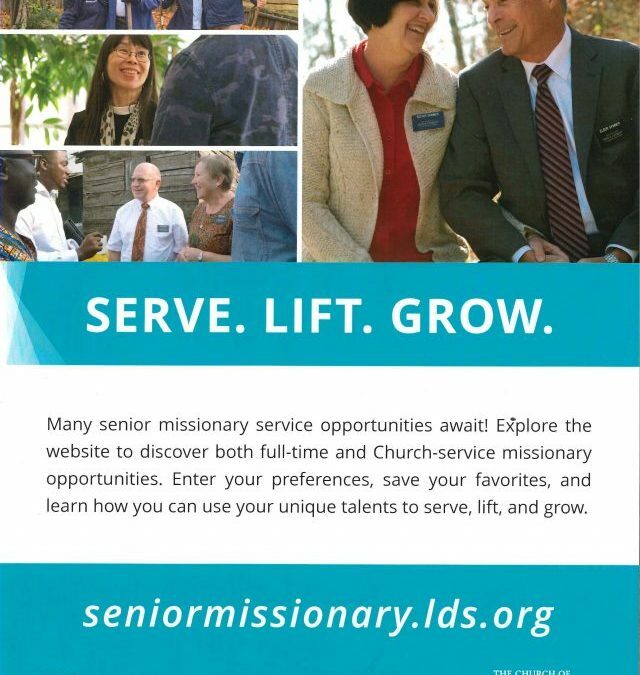 Go to SeniorMissionary.lds.org to explore over 30 meaningful mission experiences—whether close to home or across the world—that will allow you to serve the Lord and bless others. You can browse a list of current mission opportunities worldwide. You can set filters and search keywords to narrow the list. Since your needs and circumstances are unique, you can answer a few simple questions about your specific situation and preferences to discover the best mission opportunities for you.